Detach yourself from everyday distractions and unwind with this adorable collection of hand-drawn cats, dogs, horses, and other animals waiting to be brought to life with color. Filled with intricate animal illustrations and elaborate designs, the pages of this coloring book are constructed with heavier paper stock to fight bleed-through from ink pens. Foil details on the cover hint at the beauty to be created within. Read a book and help save a life: 5-7% of the purchase price of every ASPCA® (American Society for the Prevention of Cruelty to Animals) coloring book goes directly to the ASPCA® so they can continue their mission of helping the helpless, with a minimum donation of $50,000 through December 2019. 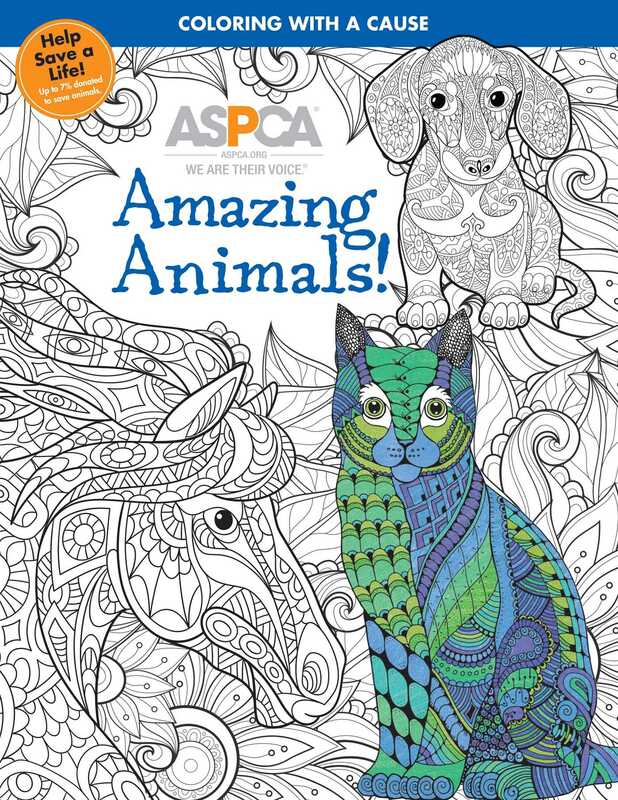 Book Cover Image (jpg): ASPCA Adult Coloring for Pet Lovers: Amazing Animals!